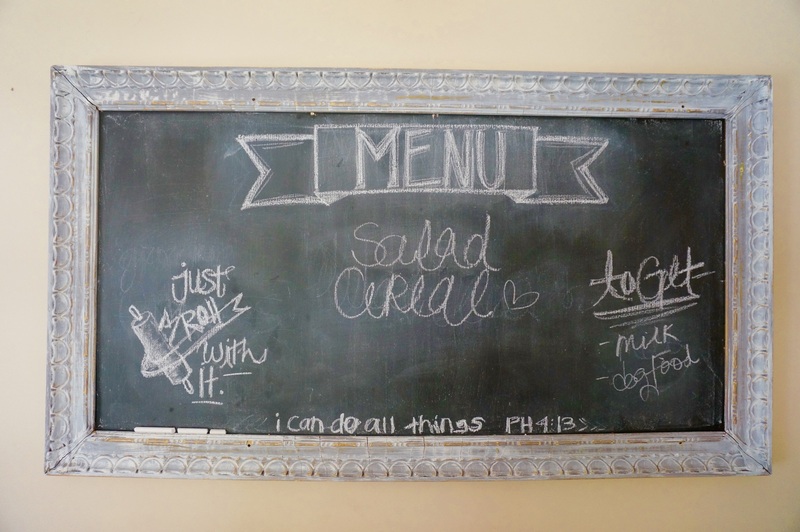 Ive had this idea of a oversized kitchen chalkboard for over a year now. 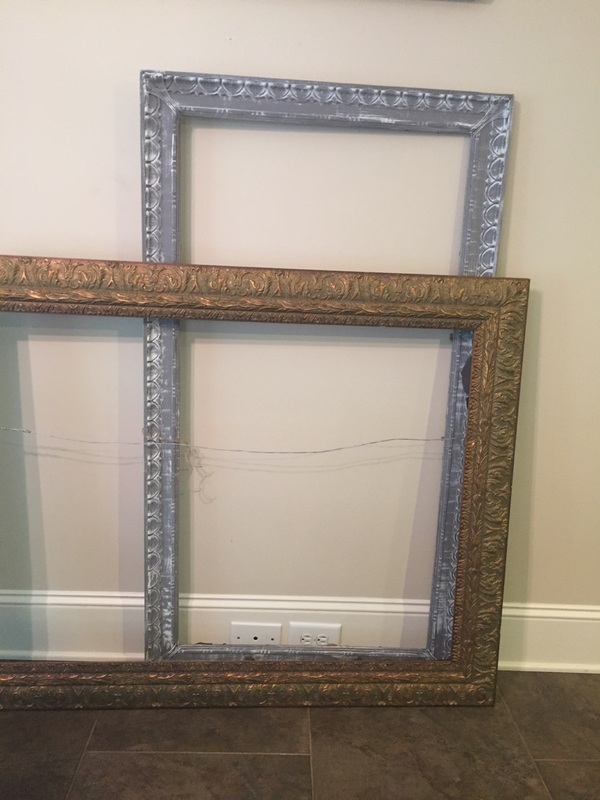 Let me tell you- the struggle is real when you are searching for the PERFECT sized frame. I wanted an awkwardly long length that you normally don’t find in frames until I stumbled upon this grey beauty (at an antique mall of course)! 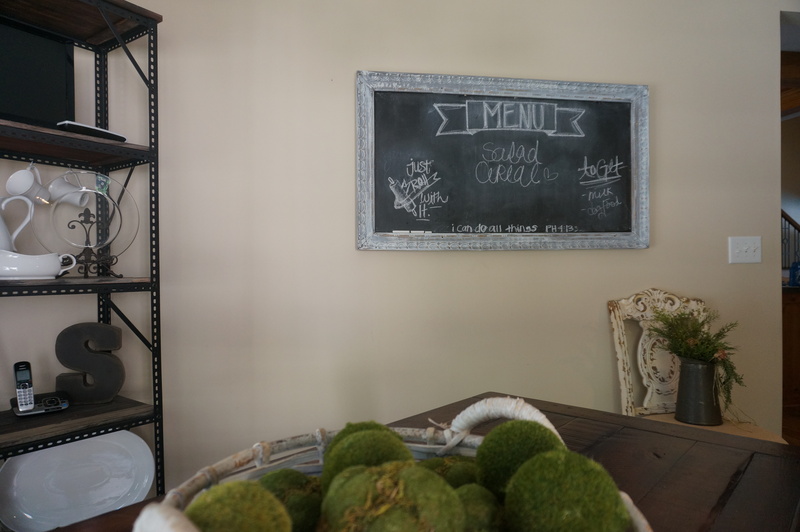 My poor hubby haha … Whenever my Grandma Kay comes into town we always build, paint or find something new to put in this house haha! This was so much fun and so simple so I had to share! 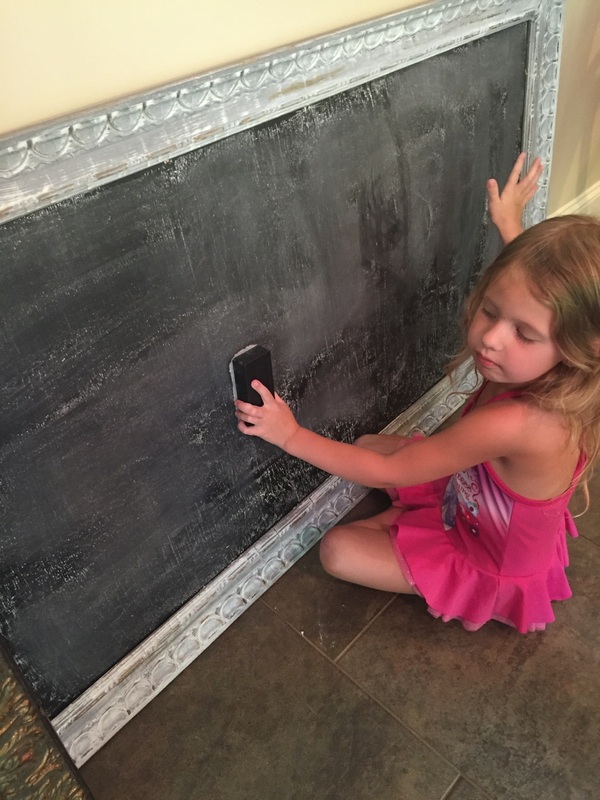 Take your frame to Lowes Hardware to get a backing measured and cut to fit your frame and if you don’t already have chalkboard paint you’ll need to pick some of that up too! 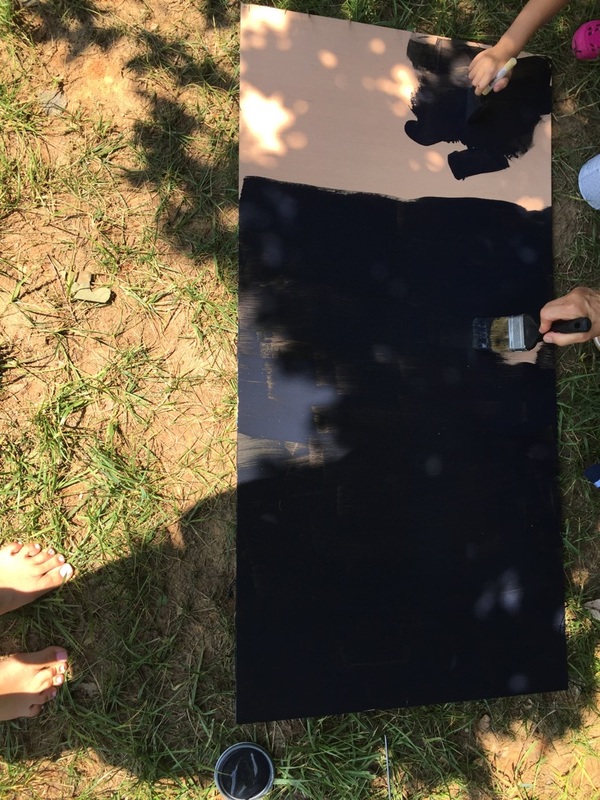 Paint your backboard and nail or staple your backing into your frame. 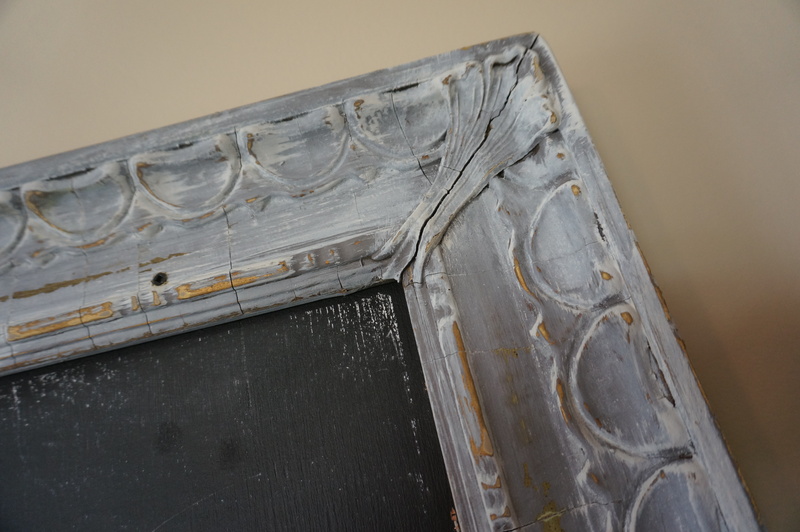 All we did was a simple white wash over the grey frame to give it a little more dimension and then sanded down the sides to give it the old chippy look that I love! and VOILA! As simple as that! I just love how it turned out! 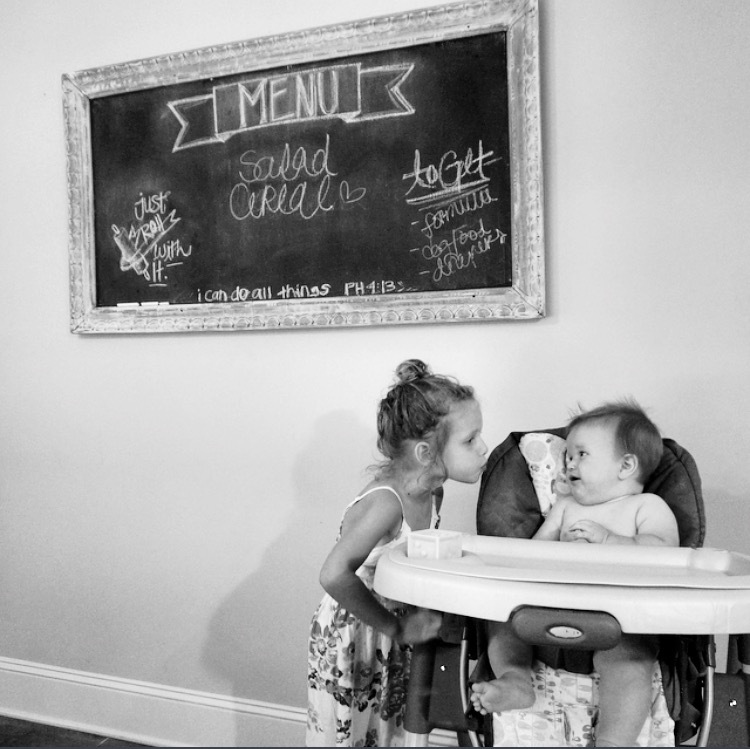 My chalkboard art skills may need a little work but for now it’ll do! and yes salad and cereal are staples in this household.